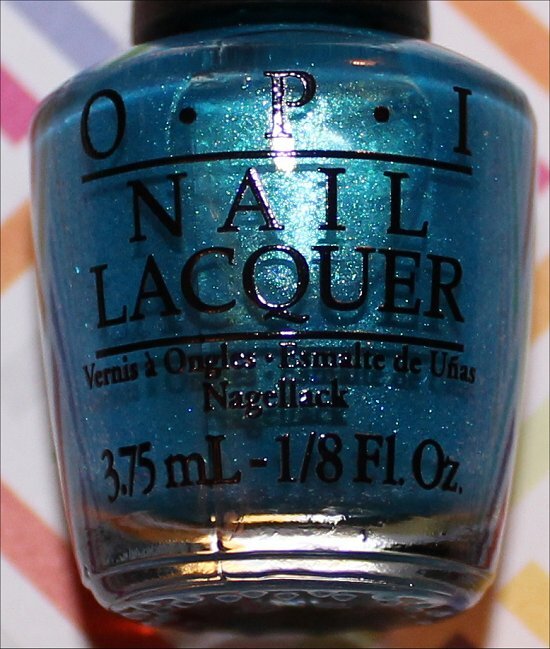 Yesterday, I showed you a Quick Look post with swatches and bottle shots of the OPI Brazil Collection, which will be coming out in early February. 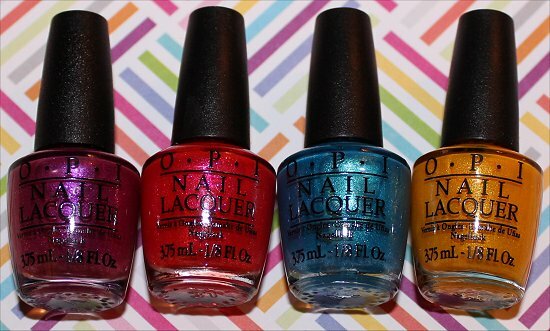 In today’s post, I’ll show you swatches and bottle shots of these cute new OPI Beach Sandies shades. Then, stay tuned when I review them later on in-depth! 3 thin coats with flash. Shown in the same order as above. 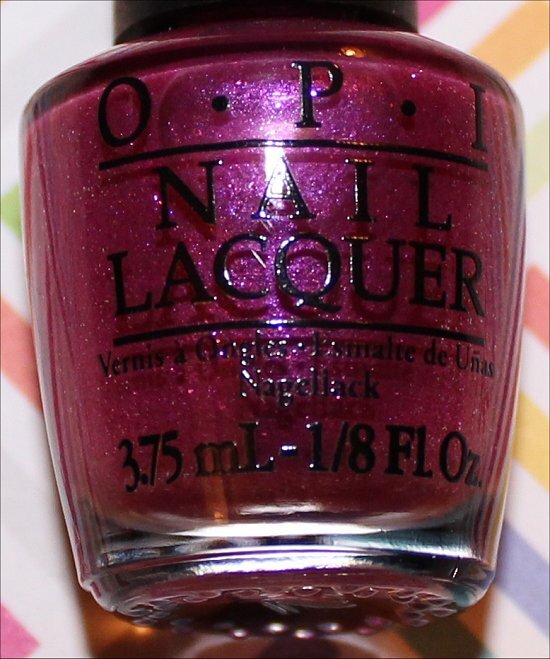 Click here to see my OPI Samba-dy Loves Purple Swatches & Review! 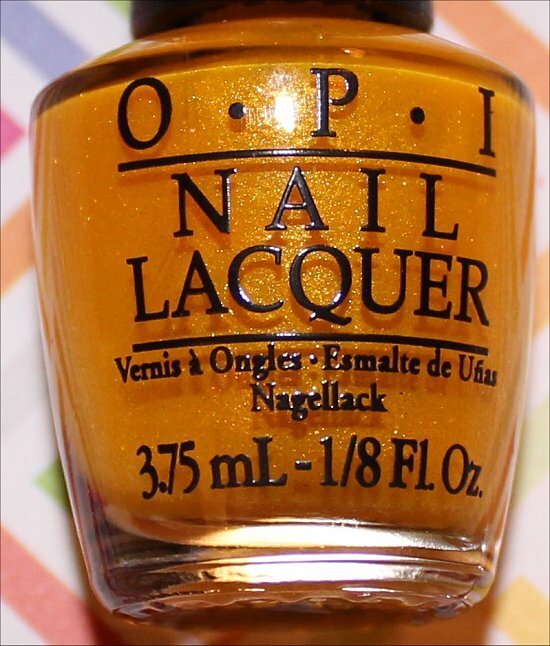 Click here to see my OPI I’m Brazil Nuts Over You Swatches & Review! OPI What’s a Little Rain Forest? Click here to see my OPI What’s a Little Rain Forest? Swatches & Review! 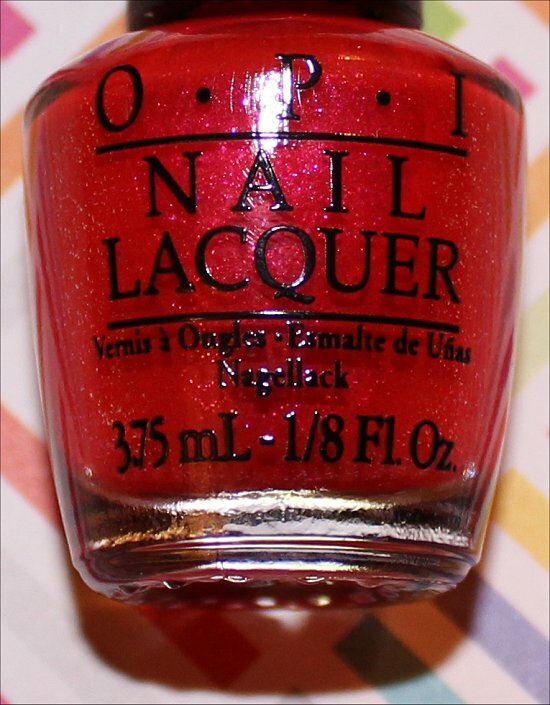 Click here to see my OPI You’re So Flippy Floppy Swatches & Review! Which of the OPI Beach Sandies liquid sands are your favourites? Are you still on board the textured-nail trend? 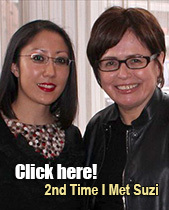 How often do you wear yellow nail polish? This entry was posted in Quick Look and tagged OPI on January 16, 2014 by Mary S..
Rah rah rah for textured polishes! 🙂 I know that a lot of people are already over the trend, but I can’t see myself tiring of them. It’s just so amazing to paint your nails and have them dry so quickly with a cool finish. This is my favourite nail trend in a long time! I need every one of these and – being me – will probably buy the full-size bottles. The texture trend will only last “so” long, but I’ve found that a couple of coats of gelous turns them into stunning things! I like bright yellows and that one is gorgeous. Yes, that is such a sunshine-like, vibrant yellow. It really is very cheerful-looking! Haha, even when the texture trend goes cold, I’ll still be enjoying my textures. It’s my favourite nail trend in a long time. Love how fast you can complete a manicure, and I just keep touching the texture on my nails. Funny how before I tried my first OPI Liquid Sand (OPI Get Your Number), I thought I’d hate having texture on my nails. 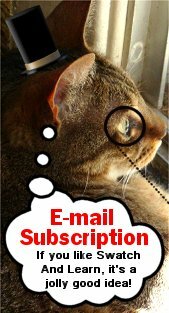 I was soooo wrong, and I’m glad I was wrong! I think You’re So Flippy Floppy will be my favorite. Flip flops are also my favorite types of shoes, lol. I live in Wisconsin so I don’t know how that happened. 🙂 When I was a teenager I used to wear my flip flops from the first day it was slightly warm almost until the first little bit of snow. I don’t wear yellow nail polish too often, but with all this snow and cloudy days we’ve been having, I might start wearing it alot more to trick myself into thinking it’s sunshine. I’m pretty funny, but I am really self-conscious about showing my toes, so I try to keep them covered at all times (even in the summer) when I’m in public. There’s nothing wrong with them. In fact, people who’ve seen my feet have told me they like them, haha, but I just feel very naked and vulnerable when I’m barefoot in public (aside from swimming pools, of course). In the privacy of my own home, I tend to wear flip flops a lot in the summer as slippers. 🙂 Yeah, I’m strange like that! They’re so bright and pretty. Perfect for summer!